I am a big fan of JAG. The JAG attorneys I meet are consistently happy, they work on exciting issues and get courtroom experience right out of the gate, there are no billable hours, entry-level pay is over $60,000, a sizable portion of which is not taxed, they can get $65,000 in loan repayment assistance, they get the chance to travel all around the world, the military branches are always hiring, and grades are not nearly as important as they are in the firm world. Serving as a military officer is a prestigious honor. Less than 1% of Americans serve in the military and less than 1% of those serving are officers. I recently got some great JAG insider information when JAG attorneys in the Air Force and Army spoke at a panel discussion I attended at the NALP conference. If you’re interested in knowing how the branches are different, how JAG hiring works, and what life as a military lawyer is like, read on. Captain Justina (Tia) Hooper, Chief, Recruiting Branch, Office of the Judge Advocate General, U.S. Air Force. Tia has been in the Air Force for six years. While serving in the Air Force, she has had the chance to live in England for 2 years, go on an Afghanistan deployment for 1 year, and live in Colorado Springs. She attended Southwestern Law School in Los Angeles. Currently, she serves as the Chief, Recruiting Branch and works in the Pentagon in DC. Tonya Blackwell, Chief, Judge Advocate Recruiting Office, Judge Advocate General’s Corps, U.S. Army. Tonya has served in Germany, been deployed, and has been stationed at Ft. Hood in Texas. This blog post features the Air Force and Army. You can read about the Coast Guard and Marines here and the Navy here. Before getting into it, I want to define a major term in military hiring- the “selection board.” All military hiring must go through a selection board, which just means that several officers meet to review the applications, discuss and evaluate them, and then select which candidates they are going to offer JAG positions to. What does the Air Force do? The Air Force provides air support for surface forces and those in the Air Force are called airmen. They are the most technologically advanced of all of the branches, they are responsible for U.S. satellites, and they maintain U.S. nuclear systems. What is Air Force JAG? The Air Force JAG is one of the largest law firms in the world. As a member of this elite group of law professionals, you’ll provide a full range of legal services to the U.S. Air Force and its Airmen. You will provide advice to military commanders and do it right away. The Air Force has the second largest JAG Corps behind the Army. There are 1300 active duty JAGs and they have a reserve (part-time) component as well. The Air Force has one of the most varied legal practices of all of the branches. Air Force JAGs practice military justice, environmental, labor, international, operations, medical, special victims (sexual assault), government procurement, administrative, aviation/space/admiralty, and cyber law. All JAGs will get trial and litigation experience right away, get the chance to practice different areas of law, and will live around the country and potentially around the world. The Air Force is a worldwide practice and JAGs can get stationed at one of 70 bases around the world. The Air Force has bases in DC, Colorado, New Mexico, Los Angeles, Alaska, Germany, England, Italy, Japan, and more remote areas such as Alabama and North Dakota. You can see a complete list of bases here. How do you apply to be an Air Force lawyer? There are two ways to become an Air Force JAG and you apply to them all online here. (1) The Graduate Law Program for 1Ls and 2Ls lets students be ROTC cadets as they go through law school. To participate, you need to be attached to a university that has an Air Force ROTC command. (Notre Dame does.) This program enables students to understand what military life is like while in law school. If you are in this program, you can rest assured that you have a job in the JAG corps as long as you pass the bar. You work with undergraduates who will be becoming officers and get embedded in the military earlier. This program is the best way to come into the JAG corps. You have to apply by January 10 of your 1L or 2L year. To get in, you must interview with your local ROTC detachment so it is best to get started with the application early in the fall. (2) The second way to get into Air Force JAG is through the direct appointment program, which you can apply for as a 3L. There are 3 selection boards each year- October, December, and April. To apply, you have to complete an in-person interview at an Air Force base. Your best bet is to apply for the October board for which the application is due on September 10. That way, if you don’t get selected, you can apply again for the December board, for which the application is due on November 10. The Air Force gets 1200-1400 applications each year and the selection rate is 10-14%. To learn more and get started applying through either route, go on the Air Force website and email me. The Air Force does not conduct evaluative on-campus interviews. Their on-campus interviews are informational and are genuinely designed for students to get more information about JAG. To have your actual, evaluative interview, you need to go to an Air Force base after you apply. The closest Air Force base to Notre Dame is Scott Air Force base in Illinois, about six hours south of ND or if an Air Force base is located close to your hometown, you can interview there as well. The way that individual Air Force interviews are structured is up to the interviewer. Students can ask Tia Hooper, who leads Air Force JAG Recruiting, for advice because the interviews can really vary based on the base. (Tia’s interview was 4 hours.) If you are not selected, Tia will walk you through the application to tell you how to do better and improve your application so you can apply again. How do you apply for an Air Force summer internship? The Air Force has both paid and unpaid internships. They offer 30 paid internships to 1Ls and 2Ls. The Air Force announces its internship application due dates on facebook and the CDO will announce it on this blog. The Air Force does not interview for its summer positions. Instead, you just send your materials (which you can find on the Air Force website)to airforcejagrecruiting@gmail.com. If you complete a summer internship, you have a much better chance of getting selected for an Air Force JAG position. You must be under 35 to go into the Air Force, but can obtain a waiver up to age 37. What is the Air Force looking for in candidates? Get the basics right. Show that you can follow the simple directions in the application. Your motivational statement is very important. Show why you want to join the Air Force, highlight your commitment to service, leadership skills, and adaptability. Leadership skills are very important to the Air Force and they want to see a pattern of leadership throughout your life. You can show that by highlighting that you were the president of club in high school, college, and law school. If you decide you want to apply (and you are a Notre Dame student or alumn) contact me and I can help you craft a great motivational statement and overall application. If you attend another law school, please reach out to your law school’s career services office. I do not respond to emails from students from other law schools. Those in the Army are called soldiers. Where the Air Force provides air support and the Navy protects the sea, the Army is the part of the military that fights on the ground. 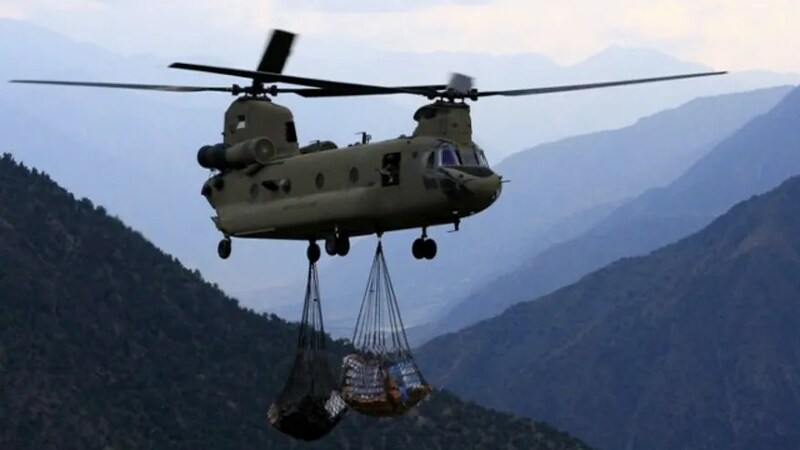 Humanitarian missions delivering food supplies, building schools, etc. Founded by George Washington, the Army JAG Corps is the oldest law firm in the country. Army Judge Advocates are responsible for offering legal support that involves military operations. They primarily focus on the areas of criminal law, legal assistance, civil/administrative law, labor/employment law, international/operational law, intelligence law, and contract/fiscal law. Army lawyers wear uniforms everyday, deploy, serve with commanders, and provide counsel in all areas of law. JAG attorneys get experience right away and typically rotate legal disciplines every 1-2 years. Most Army JAGs will see the inside of a courtroom within their first three years. The Army JAG Corps is composed of 10,000 soldiers, including paralegals and is the largest JAG Corps of all of the branches. There are 1800 active duty Army JAGs. There is also a large army civilian force. There are Army bases in DC, Germany, Georgia, New York, Texas, Colorado, Italy, South Korea, and California. You can see a complete list of Army bases here. How do you apply to be an Army lawyer? The Army interviews 3Ls during OCI for active duty positions after law school. The application period is open from August 1-November 1. You can read more about application materials and the hiring process on the Army JAG website. Army on-campus interviews are true evaluative interviews that can result in you getting selected to join the Army. The Army recruits on-campus at Notre Dame every fall. There are over 100 field screening officers and they visit all ABA accredited law schools in the fall. Interviews are 1 on 1, notes are taken, and reports are written on each person interviewed. After interviews, the field screening officers generate reports on their interviews, which are sent to the selection board. The interview is a very telling piece of the application. The Army wants applicants to meet with a practicing judge advocate so they can assess if they fit with what a judge advocate should be. The Army is looking for people committed to service that understand sacrifice. The Army conducts one board each year for selection for active duty. They get about 600 applications and take 25-30%. All interviews have to be done by November 1 because the board meets at the beginning of December. The goal is to notify people whether they were selected by Christmas. How do you apply for a summer internship with the Army? The Army conducts 30 minute on-campus interviews at Notre Dame every fall for paid 2L summer positions. The Army has a robust 2L summer internship program, There are 70 slots available and the Army gets about 300-400 applications each year. Interns are paid $7000 for 60 days and interns can intern over the world, such as in Italy or Germany where there are Army bases. Applicants provide a wish list based on what locations are available. An Army internship is a great chance to see what it’s like to be judge advocate without any service obligation. If you intern over the summer, your odds of getting selected to join the JAG Corps are much greater. 90% of those who intern end up getting selected when applying to the JAG Corps. What is the Army looking for in candidates? They want to see a commitment to service and they look at the total package. There is no set minimum for GPA or LSAT score. They look at your personal statement, how your interview went, and how you value teamwork, which is very important. The board is composed of 5 people and the personal statement means the world to them. They want to know why you chose to serve and that you know what it means to be put on a uniform. The Army really wants to get the right fit. Little things in your application like the photograph that you submit make a difference. Don’t submit a selfie. At the end of they day, they are asking who is this individual and why are they asking for the opportunity and privilege to serve? As far as the people conducting interviews for the Army, they give field officers a week long training to prepare them to interview candidates. Field officers ask themselves when interviewing candidates: is this someone you want to work with every day? Can they handle being in a leadership position immediately? You must be under the age of 42 to go into active duty in the Army so you can complete 20 years of service by age 62. You must be under 33 to enter the reserves. If you’re interested in applying to the Air Force or Army, contact me and we can get you started.